How can you stay safe on the highway driving next to a large truck? | Feller Law, P.A. You are driving on the interstate and find yourself next to a huge tractor trailer or other large commercial vehicle. Immediately you begin to feel just how much bigger these trucks are than your vehicle and are all or your senses are on high alert. Even if you are driving a pickup truck or an SUV being involved in accident with one of these giants is not in your favor. 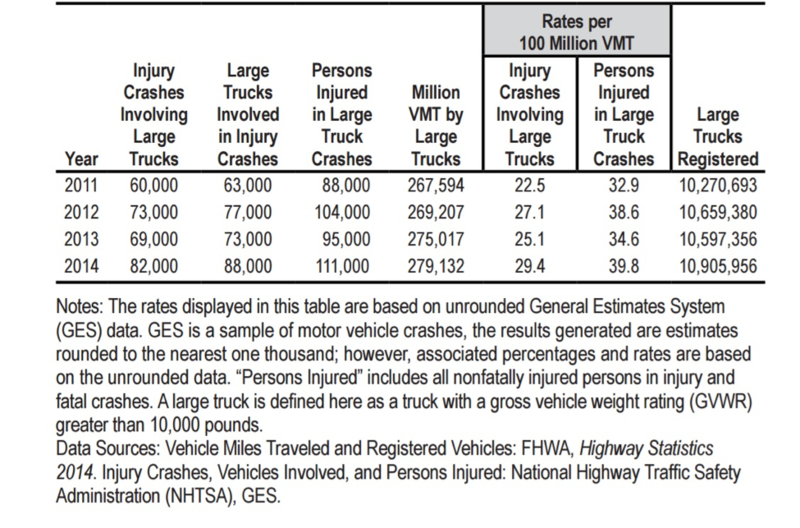 The size and weight differences alone is one reason, among many others, where accidents involving commercial trucks are dangerous and sometimes even deadly. So, what are some actions you can take to keep safe when driving near large trucks? Do not get distracted- Keep your eyes on the road ahead. Do not text or look at your cell phone, do not look for a song to play, do not turn your head to talk to a friend or family member. A split second is all it takes for a truck in front of you to stop suddenly. Avoid cutting in front of trucks: Trucks have blind spots, not only when driving behind but also in front. Trucks are heavy and take a long time to stop. An 18-wheeler with a full load driving at 60 miles an hour could take the length of three football fields to stop. Don’t tailgate a truck, either: Remember if you cannot see their mirrors they cannot see you. Also, not only is there a hazard of large debris being thrown up by a truck tire but a rear end collision with a large truck is likely to impact your windshield instead of your front bumper. Truck drivers sit up high and often see situations ahead that require them to stop well before you are aware so give them plenty of space. Do not drive right next to a truck: Trucks have large blind spots next to them on both sides as well. When they go to change lanes, they might not realize you’re next to them. If you can’t see the driver’s face in the side view mirror, they can’t see you. When passing a truck do it quickly: Blind spots are everywhere on 18- wheeler trucks so get in and out of their blind spots as quickly and safely as possible. Pass on the left and be careful to do so at a safe speed. Give trucks room to turn: Trucks are large and particularly long, so they need more space to turn. Watch for turn signals on trucks, and do not pass if they have their turn signal is flashing. Be aware of tire blowouts: We have all seen the stray pieces of rubber from truck tires laying on the side of the road. Stay alert and give trucks respect. Watch for light signals from the driver: Drivers of 18-wheelers often communicate using lights, particularly when merging. A truck that flashes its lights once is giving you the go ahead to merge in front of them. But high beams or multiple flashes means it’s not safe to merge in front of them. Be aware of the weather: Trucks being bigger means weather has a bigger impact on their vehicle. If winds are high an 18-wheeler truck may be pushed around and start drifting. Trucks, especially those that are not fully loaded down in the back, can be pushed around due to their top-heavy nature. Be a responsible driver: Using common sense on the road is always helpful, but it’s even more important when driving around 18 wheelers. Avoid sudden movements including lane changes, sudden stops, or abrupt turns. Instead, give trucks plenty of room and notice when you’re making a change. If you have been involved in a truck crash Feller Law is here to assist you. Call 407 878-5942 to schedule your consultation.